Providing the Bath Area with expert plumbing services since 1913! 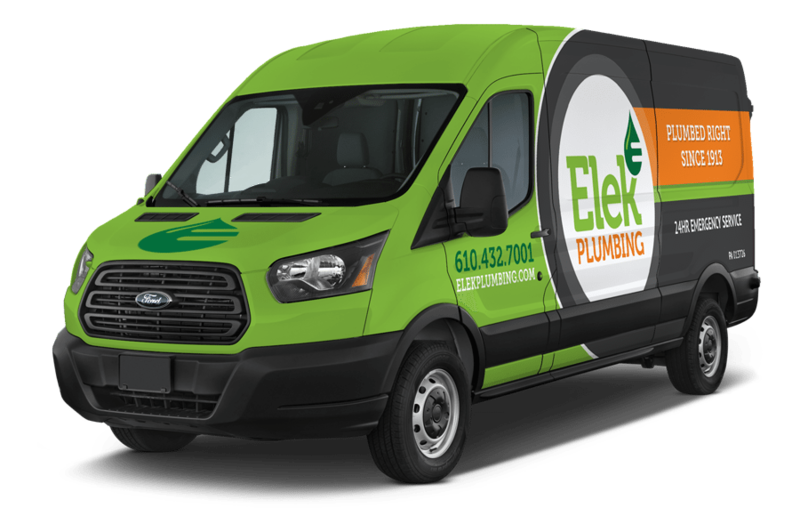 With more than a century of experience, Elek continues to provide the Bath, PA with exceptional service, knowledgeable support and a friendly smile. At Elek, our ultimate goal is not only to serve the customers who need us today but to partner with their families throughout generations to come. We realize the only way to accomplish this goal is by earning the community’s trust and building confidence in our guaranteed quality, dependability and professionalism. Elek Plumbing’s firm commitment to excellence is shared by our entire team of SuperSTARS, and we’re proud to have been awarded Bath’s Best Plumbing Service for several years running. After all, doing a job right—the first time—makes for happy customers and delivers great personal satisfaction. Check out our customer testimonials to see for yourself why Elek Plumbing is the best plumber in Bath. To learn more about our service offerings and coverage areas, call us today at 610-432-7001. Elek’s licensed Bath plumbing techs are available 24/7 to respond to your needs. Call 610.432.7001 or schedule an appointment by clicking below. Established in 1913, Elek Plumbing has been providing Bath with quality services for over a century. Our kitchen sink plumbing issue was fixed in a timely manner. Chuck was very efficient in his diagnosis and remedy. He is a very fine representative of your company. Our kitchen sink clogged without warning. 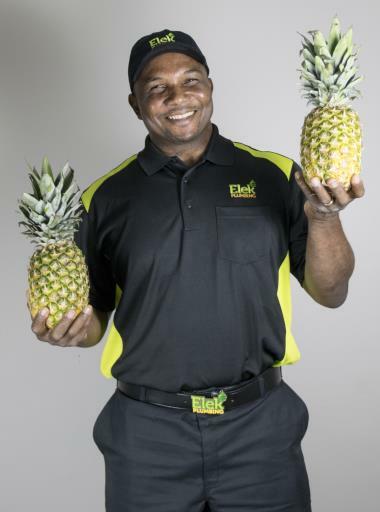 We called Elek and they sent their next available service tech to our home within hours. Chuck Bell diagnosed the problem quickly and had us back in business in no time. He was very thorough, explained everything as he went and asked for our approval before completing and charging for the job. 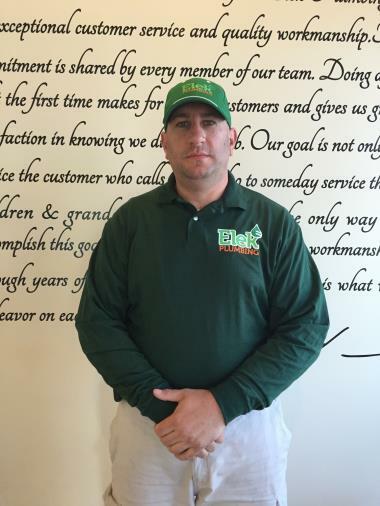 We highly recommend Chuck from Elek Plumbing. The technician was very professional and respectful from the time he rung the doorbell. He put on booties and stood a distance away from the door which was very helpful so I could check who was at the door without feeling uncomfortable. He explained what he was going to do and the cost options to resolve the issue. Upon completion and payment he gave me Elek promotional items which was above and beyond. I’d call Elek back in a heartbeat if I ever have another plumbing issue, and would request David! Although I’ve had wonderful experiences with all of their technicians! David provided a awesome service by unblocking my sewer line. He was very respectful and professional. Thanks David. Thank you for the kind remarks Jody Ann, and we are glad David solved your plumbing matter to your satisfaction! It's because of wonderful customers like you that we do what we do! Thank you Sarah! took care of the prblem quickly. Our frost-free hose bib froze, split, and was leaking all over. While the leak wasn't particularly bad, there was some concern that it could worsen before the next business day. Elek responded quickly and at a very reasonable price. Repairing 1/2” copper line up in the ceiling. Removed the entire burner assembly and removed all the water that was inside the burner area.